We’ve won a second award! 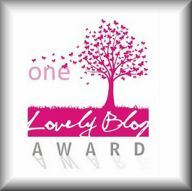 The first was the “Most Motivational Blog Award” . Now this! Thank the person who nominated you. Thanks again One Woman!! Share 7 things about yourself. That is below…. 1. We believe that the end of violence is possible. 2. We believe that the end of domestic abuse and sexual abuse is in the very near future. 3. We are a group of people who strive everyday to eradicate and prevent domestic violence everyday in every job that we do. 4. We believe that if we delete the risk factors that promote DV, we will end it. 5. We believe that if we promote the protective factors, we will increase the positive. 6. We believe that there is never a victim that is to blame for the abuse he/she has experienced! 7. All people should be allowed to live a violence free life! « A quote to educate all…Healthy relationships is key!